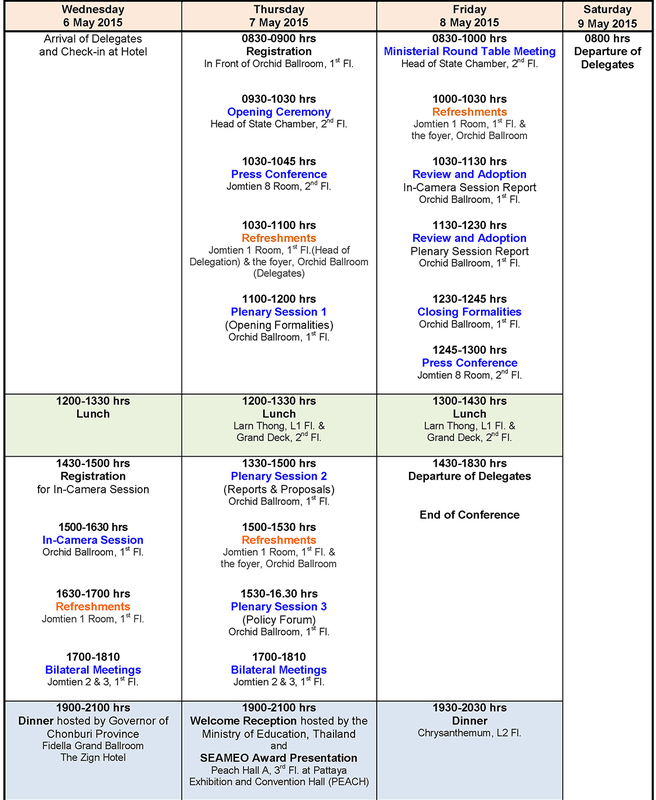 The SEAMEO Council Conference is the summit of all SEAMEO meetings. It is the assembly of the SEAMEO Council which is the Organization’s governing body and comprises the 11 Ministers of Education of the SEAMEO Member Countries. The SEAMEO Council determines the general policies and strategic directions of the Organization. Through the years since the establishment of SEAMEO in 1965, the SEAMEO Council Conference has been the highest level of all SEAMEO meetings where the SEAMEO Council sets the directions of programmes and projects of SEAMEO and its units such as the SEAMEO Regional Centres and the SEAMEO Secretariat. From 1965 to 2010, the SEAMEO Council Conference was held annually. In January 2011, the 46th SEAMEO Council Conference endorsed that from 2011 onwards, the Presidency of the SEAMEO Council would extend from a one-year to a two-year term period. 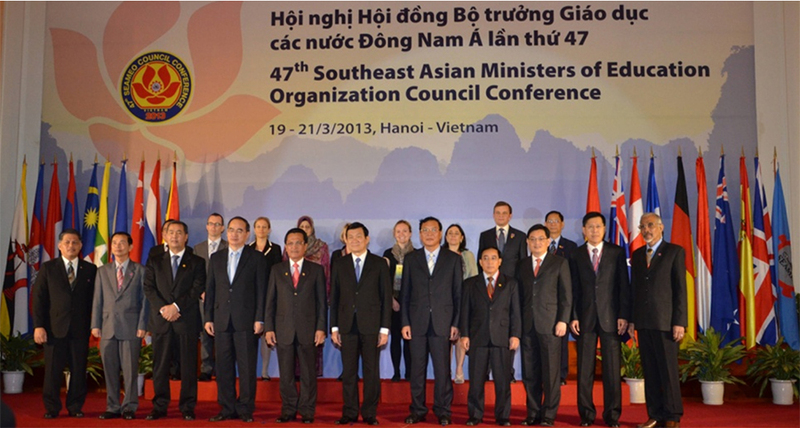 As a consequence, the SEAMEO Council Conference would be held every two years with the conduct of the ASEAN Education Ministers Meeting in the intervening year. The SEAMEO Council Conference is hosted by the Member Countries on a rotation basis. This is the eight times Thailand hosts the event, which is a ministerial-level forum to discuss initiatives and policies of the region and set out the direction for implementing the programmes and projects of the Southeast Asian Minister of Education Organisation (SEAMEO). 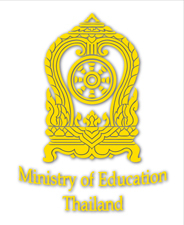 The Minister of Ministry of Education, Thailand, will serve as President of SEAMEO council in the 2015-2017 period. The online registration form is provided for all delegates who will attend the 48th SEAMEO Council Conference during 6-9 May 2015 at the Royal Cliff Hotels Group, Jomtien-Pattaya, Chonburi, Thailand. SEAMEO has 21 specialist institutions that undertake training and research programs in various fields of education, science, and culture. Each Regional Centre has a Governing Board composed of senior education officials from each SEAMEO Member Country. The Governing Board reviews the Centres’ operations and budget and sets their policies and programmes.